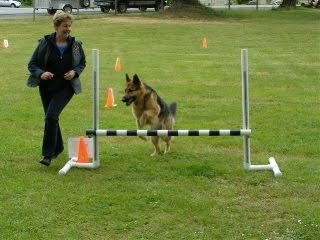 In Rally Obedience, dogs and their handlers follow a course that consists of between 10-20 stations. Each station requires the dog and handler to perform specific skills. movements but dogs do not need to have prior obedience experience to participate in Rally O. We offer both novice and advanced classes.